Meet Justin Roy, prairie boy turned international cannabis expert. The Delta 9 Processing Manager just celebrated his 29th birthday. He also has one of the coolest jobs on the planet. 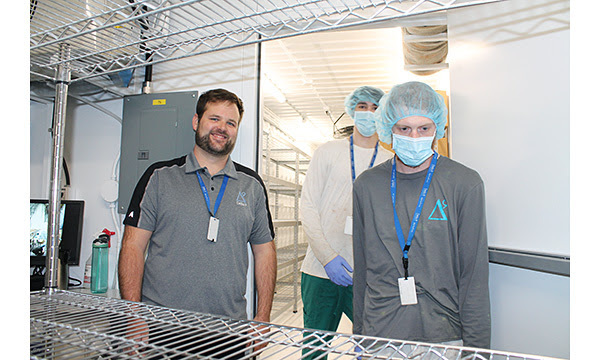 Born and raised in Winnipeg, the Asper School of Business graduate was one of the very first people to join Delta 9 in its early days, before it was even licensed. He hadn’t even finished school at the time and his parents were probably a little unsure of what he was doing. Six years later, Roy is managing a team of 30 people who perform everything from harvesting to final packaging. He’s also inspecting product for purchase and selling Delta 9 clones across Canada and internationally. “We’re doing things on a much larger scale now compared to when I first started,” said Roy. “And we’re constantly growing. But we’ve got a pretty good system now, and we’re all of the same mindset, always looking to make continuous improvements in our products and processes. 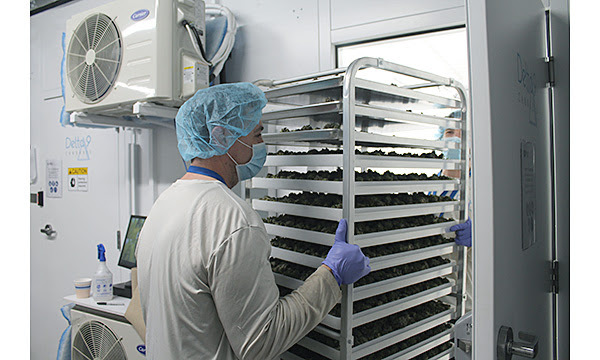 Roy’s typical day starts around 7:30 a.m. and ends at 6:00 p.m. His work begins where the production team leaves off and includes all facets of harvesting, drying and curing, through to final packaging, with quality assurance (QA) throughout the whole process, making sure all the appropriate forms are filled out correctly, following standing operating procedures (SOPs), lab testing and more. His favourite part of the job -- learning new things – is also the most difficult. In between managing his two teams, Roy is also developing products and readying them for market, the newest being pre-rolls and kief. Pre-rolled joints will be available in single and multi-packs. Kief is a potent, dried cannabis product that falls off the plant and is then sifted through a micro-screen during processing. People use it in a variety of different ways, from baking their own edibles to supercharging their joints. 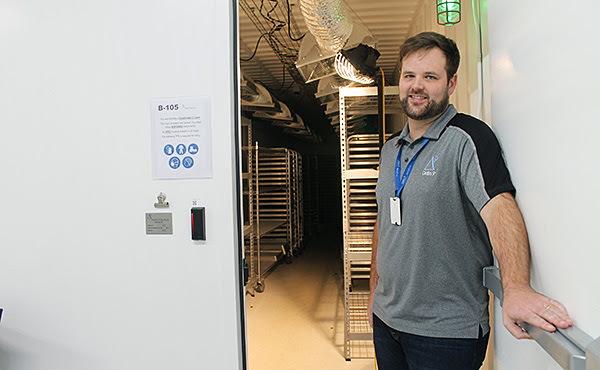 Roy says his education at Asper School of Business has definitely helped from a leadership standpoint, but a lot of what he has learned has been on the job, including product inspections. Long gone are the days when a clerk would take a couple tokes, wave his magic wand and decide a strain has a potency of 17%. “It’s almost all science now,” said Roy “The machines test for everything including heavy metals, aflatoxins, salmonella, E. coli, total mold and mildew, loss on drying, moisture content, THC, CBD and much more. It’s a long list. I already know how potent the product is before I get there for the visual inspection. In addition to inspecting product for purchase, Roy has also been in charge of selling clones to LPs since last January, and business is booming. “My advantage is that I’ve been here from the beginning,” said Roy. “I’ve learned a lot of the ins and outs on the regulatory side of things, dealing with Health Canada, plant transfers, all the paperwork etc. and I understand the large investment people are making in what is often their first genetics purchase. Clone sales have gone well from coast-to-coast for Delta 9, and they’re currently working on getting some of their clones into international markets, yet the company maintains a distinctly Manitoba feel. The future is green for Delta 9. Previous article Travelling in Canada with Cannabis - What You Need to Know.